Leaders from Orange County Government recently joined LIFT Orlando for a tour of communities west of downtown Orlando that are striving to break the cycle of poverty through holistic community revitalization. LIFT Orlando is a nonprofit organization comprised of business leaders who are working to transform low-income communities through education, mixed-income housing, community health and wellness and economic opportunities. 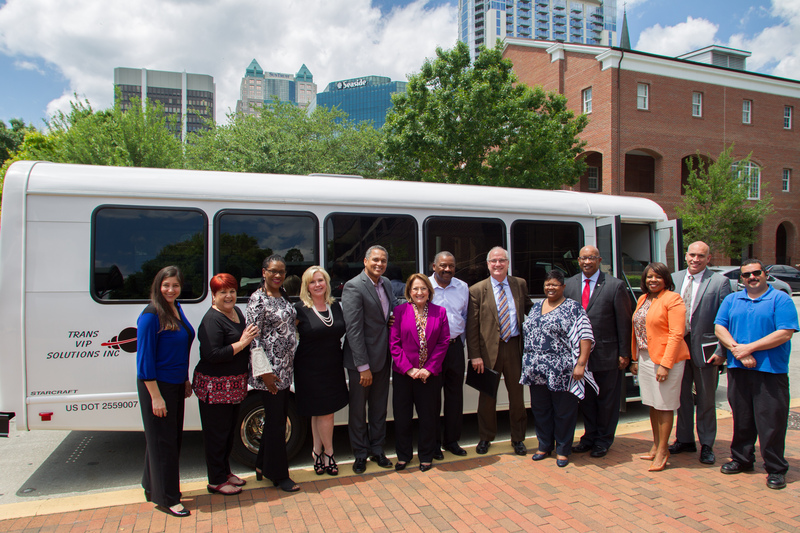 Orange County Mayor Teresa Jacobs and managers from Orange County’s Neighborhood Preservation and Revitalization, Building Safety, Community Action, Planning and Head Start divisions toured neighborhoods adjacent to downtown Orlando that will benefit from LIFT Orlando’s mission. LIFT Orlando’s executive team – Executive Director Eddy Moratin, Chief Operating Officer Terry Prather and Director of Development Leah Shepherd – kicked off the tour by detailing their comprehensive plan for incredible neighborhood transformation through community partnerships. LIFT Orlando will replace the Washington Shores Village apartments with The Villages of West Lakes, a new multi-family, mixed-income housing complex scheduled to open in 2017. This will provide residents with high quality, yet affordable housing conveniently located near schools, healthcare and business opportunities. The Villages of West Lakes, which includes a senior living component, is located near the Orlando Citrus Bowl. Lift Orlando is led by senior managers from Florida Hospital, Orlando Health, Florida Citrus Sports and CNL Financial. Photos from the tour may be found on Flickr for use by the media.